Would you like to be close to the nature? If you don’t have the opportunity to be close to the nature, is easier to bring the nature close to you. How? By decorating your house using the stone. Stone is one of the nature’s products that give a strict view in any place. The stoned walls, no matter if they are in the interior or in the exterior place of a home, can warm the atmosphere and create a natural environment. So, take a look at these photos and get inspired through them so that to use them in your place! Look at this photo! Isn’t it a great choice to cover the wall around your fireplace? A stoned wall and a wooden floor are the best way to bring you close to the nature, even if you live in an apartment in the center of the town! If you love the stone, dare to cover a whole wall with your favorite type of stone, no matter the style of the room. Stone can be internalized in modern or in traditional decoration style. 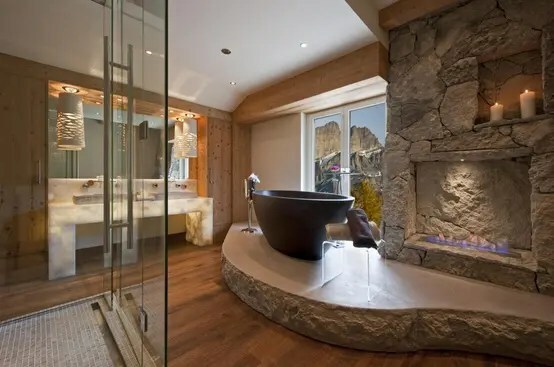 I am bored of cleaning all the time the walls of my bathroom from the water splashes, that’s why I like the idea of covering the bathroom walls with stone. Do you like it? 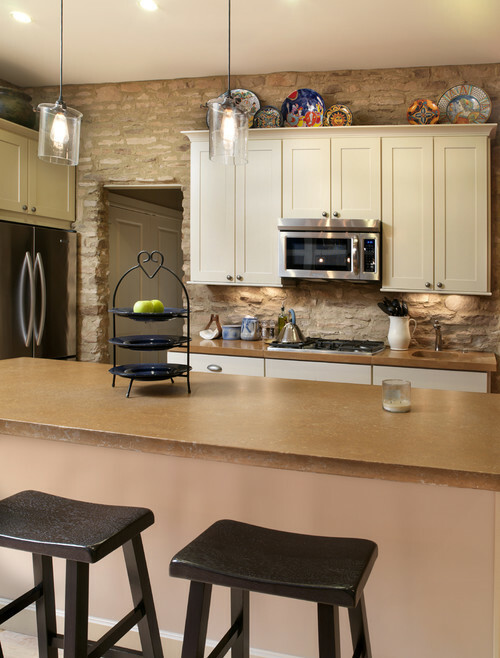 I could certainly cover my kitchen’s walls with stone. This kind of decoration refers me back to the old times and I like this rustic style! 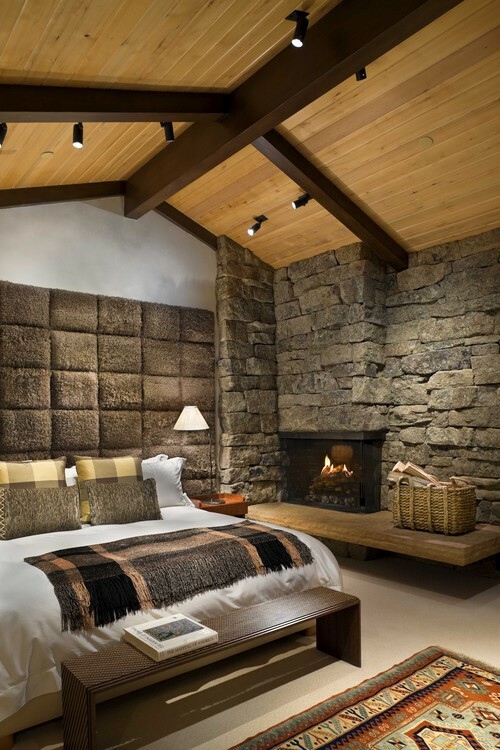 What about using the stone in your bedroom? Well as I see this picture I like it, but I think it would be too much for me because I prefer a not so wild atmosphere in my bedroom. 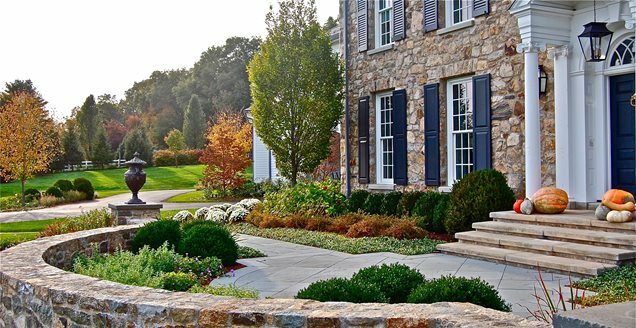 A front yard with stone is always in my dreams. Ok, to be honest, a house made of stone is also prevailed in my dreams. I like this aristocratic and simultaneously the classic diction that the stone gives to a house. As you see there are plenty of choices in case that you want to add a natural touch in your home by using this excellent way of the stone! Is there any wall in your house that you have already covered with stone? If not, would you like the idea? How to Enjoy the Valentine’s Day! 10 Ways To Say “I Love You”!